By Chris Williams: Top Rank promoter Bob Arum feels that his fighter WBO super bantamweight champion Nonito Donaire (31-1, 20 KO’s) should be the 2012 Fighter of The Year for his wins over Jorge Arce, Jeffrey Mathebula, Wilfredo Vazquez Jr and Toshiaki Nishioka. I’m sorry but I don’t agree that Donaire has done enough to deserve that distinction for beating those guys. I think the award should go to either Juan Manuel Marquez or WBA/WBC light welterweight champion Danny Garcia, both of which I feel are much, much more deserving of that award for their big wins in 2012 over still relevant fighters. Marquez destroyed Arum’s cash cow Pacquiao, while Garcia defeated Erik Morales and Amir Khan. To me, those are bigger wins than what Donaire has accomplished. •	Jorge Arce: 33 and past his best. Recently appeared to quit in a fight against Jesus Rojas, and lost to a guy that Donaire already beat in Vic Darchinyan. 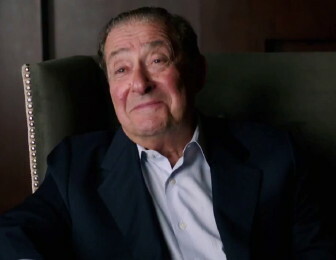 This wasn’t a competitive fight even when it was first signed, and it’s so, so disappointing that Arum matched Donaire up with this guy instead of the best fighters at super bantamweight in Abner Mares and Guillermo Rigondeaux. •	Wilfredo Vazquez Jr: This would have a good win for Donaire if he had beaten Vazquez Jr. before Arce did, but coming not long after Arce knocked Vazquez Jr. out, this just looked like Arum cherry picking an easy opponent for Donaire to pad his record with. However, this wasn’t as easy fight for Donaire, as he looked terrible for most of it and ended up with a badly marked up face. •	Toshiaki Nishioka: A 36-year-old fighter who at one time was considered the best fighter at super bantamweight division, but he clearly wasn’t the best or even close to being the best by the time that Donair fought him. Donaire said he was the best, but that was laughable in watching his fight Rafael Marquez recently and in his loss to Donaire. •	Jeffrey Mathebula: Considered a paper champion by many boxing fans before Donaire fought, and not much of a test. Mathebula never showed that he was a really good fighter before he fought Donaire and he looked pretty awful in losing to him. As you can see Donaire’s resume for 2012 hasn’t been nearly good enough for him to deserve to be called the Fighter of the Year for 2012.